Pure almond oil makes the skin soft and satin smooth. Pure organic rosemary water gives a beautiful soothing effect. The invigorating scent stimulates healthy blood circulation in the skin. Jojoba oil and shea butter give the skin a long-lasting pleasant feeling and make it soft and supple. Vitamin E hydrates and regenerates the skin and makes it look young. Organic oat and spelled water nourishes and softens the skin. 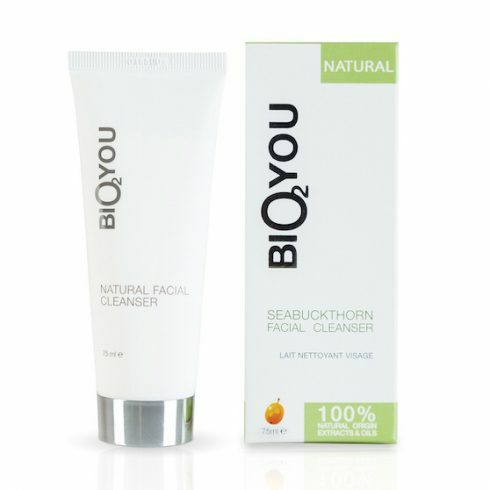 Precious sea buckthorn oil of certified biological origin stimulates microcirculation, protects against aging, regenerates and rejuvenates the skin and protects it from UV rays. Apply and massage onto face to remove dirt and residues. Rinse off with lukewarm water or toner. FREE COURIER DELIVERY from 59 euro in the Netherlands. To Belgium, France, Germany FREE DELIVERY from 66 euro.